See the Success our Patients have had! Do you want to optimize your performance and wellness? and wellness through chiropractic, AMIT, and massage. We take great pride in providing the finest chiropractic wellness care to our patients. Learn more about the services we provide. Our patient forms are available online so they can be completed in the convenience of your own time. Global Health Chiropractic is the go to family wellness and athletic performance center located in Lubbock, TX. The team at Global Health Chiropractic are committed to, "Empowering families and athletes to optimize their human performance and wellness through chiropractic, AMIT and massage." We combine skill and expertise that spans the entire chiropractic wellness spectrum. We are committed to bringing you better health and a better way of life by teaching and practicing the true principles of chiropractic wellness care and cutting edge human performance. Anyone who is looking to optimize their health and wellness at Global Health Chiropractic is assured of receiving only the finest quality care through the use of modern chiropractic equipment and technology. The team of doctors and staff have a genuine concern for your overall well-being! Explore the wellness section of our website for wellness articles, resources, and health facts that are specifically targeted by the doctors to your wellness needs and interests. You can also obtain more information about chiropractic wellness checking our facebook page here, our instagram page here or by signing up for our newsletter. Be Healthy by Choice, NOT by Chance! 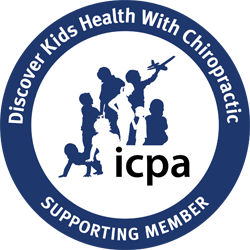 Proud supporters and members of the International Chiropractic Pediatric Association and American Pregnancy Association. Dr. Wilson's practice is a complete family wellness practice, which means that you will see brand new babies being adjusted with their parents and grandparents every day in the office. Dr. Jake Herring was born and raised in Dallas, TX. In the early years of his life, he visited doctor after doctor trying to find an answer for his unexplained excruciating low back pain that kept him from doing the things he loved. Dr. Trey is a West-Texan native who is eager to be back in the place he grew up to help serve and change the health and wellness of the entire community. By getting adjusted by his older brother, Dr. Tanner Rodriguez, before his senior season in track, Trey experienced a 100% decrease in asthma symptoms, allowing his performance and health to sky rocket. After joining the GHC team, Brittany open-mindedly embraced a holistic lifestyle. She learned the natural health benefits of chiropractic, AMIT, and massage. Kaitlyn has always had a passion for helping people and she finds that Global Health Chiropractic is perfect for this because it is about optimizing lives through Chiropractic, AMIT and massage therapy. Natalie was born in Lubbock and was raised in Hobbs, New Mexico. Natalie recently returned to her Texas roots and is currently a Red Raider at Texas Tech. My Experience: 'Very positive experience! I have been blown away by the improvements I have seen since treatment has started.'" "Global Health is one of the best places I’ve been to! Their staff & Dr. Jake are always friendly, they get you in and out quickly, always have a relaxing environment and I leave feeling better! I will continue to go back!" "Complete and detailed intake visit. Hoping that this will be the beginning of healing that my wife and I have needed for a long time. Seeking care due to an auto accident that we were involved with back in January. Staff is very knowledgeable and helpful. Has a faith and joy atmosphere. Key components for healing." My Experience: 'Well, if I'm not here... I can tell a HUGE difference- I need GHC in my life! The staff are the added bonus to living the BEST LIFE. :) '"
"I fell ten feet and hit my head on a concrete ledge fracturing my skull and messing up my neck. Dr. Jake has made my neck feel so much better. I love my chiropractor"
"Paul started chiropractic care at GHC because he had terrible neck pain. He wasn't able to turn his head hardly at all, after 6 months he went to see a surgeon who sadly said there was nothing they could do for him. Thankfully Paul found us, and after care he has full range of motion restored!" "Jason started chiropractic care at GHC for lower back pain problems. After his first few adjustments and AMIT treatments, he feels better throughout the day and feel like he has better posture. Jason loves coming into the office because we make him feel like family!" My Experience: 'My experience coming here is wonderful. I have met my goals, I feel great and I would most definitely recommend anyone to come here. The team is wonderful and everyone always has a smile for you!'" "I wanted a healthier lifestyle and my lower back was giving me problems. After care at GHC, I have a ton more energy and pain is gone. The team is extremely friendly and helpful! Such a blessing to come to Global Health each week." My Experience: 'I'm very impressed with everyone. Dr. Jake was very thorough.'" My Experience: 'Drs. 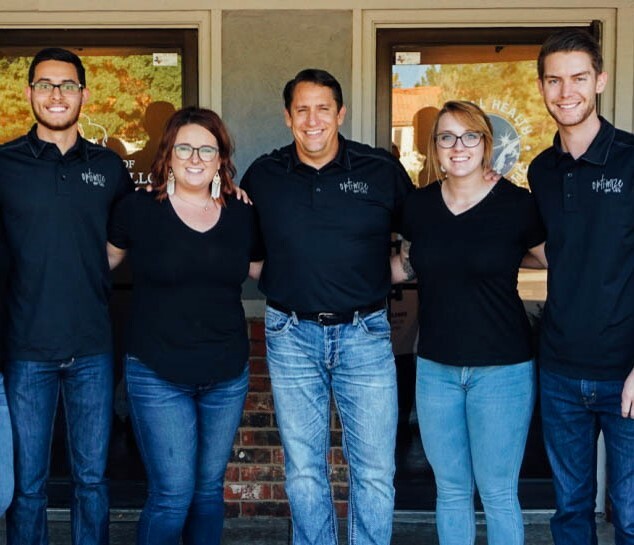 Tracy, Jake, and Trey, and the entire team with their servant's hearts and TRUE love for the TOTAL WELLNESS of others have TRULY blessed my life, my family's lives and changed US FOREVER. I feel valued, loved, and TRULY care about every time I walk through the doors. I THANK GOD every single day for GHC!'" My Experience: 'Thanks to Global Health my experience has been awesome and helped a lot.'" "We've been coming to Dr. Wilson since moving back to Lubbock. He was recommended by our chiro- and glad he was! We've had great results in fixing injuries on the farm. We can't imagine not coming at least monthly." My Experience: 'GHC has the best, most encouraging team! They've been awesome. I definitely would encourage anyone experiencing pain/sluggishness to trust Drs. Tracy, Jake, and Trey! They're the best!'" My Experience: 'Would tell everyone about Dr. Wilson and the team here.'" My Experience: 'Everyone here is so nice and caring and I love it because they really help and build a relationship with their patients.'" My Experience: 'Since then my strength, endurance, and speed have all improved. I soon started running half-marathons, and thanks to Dr. Wilson and the team, I was winning first or second in my age group each time! With regular chiropractic and AMIT tune-ups, I know I will continue to run for the rest of my life.'" "'Charis loves Dr. Trey at Global Health Chiropractic! She has been a much happier baby and has been sleeping better since she’s started getting adjustments. Which makes her mama happier, too!'" My Experience: 'I can't wait to get adjusted. Dr. Trey is fantastic and makes the appointment an enjoyable experience.'" "Stefani's greatest challenge was lots of pain, headaches every day, pain in my lower back, upper back, neck, left leg going to sleep, dizzy spells...really not in a comfortable place at all. What did you feel when you saw your scans, x-rays, and for the first time had some answers? We’ve only had a handful of adjustments. What are you noticing already? “I’m sleeping better which is absolutely amazing. It’s not taking me as long to fall asleep and I’m staying asleep. Not waking up in the morning with pain throughout my body. The dizzy spells have stopped which is one of the biggest things. I’m up and down so I got dizzy spells quite often and they have ceased. I’m able to sit and not have my left leg fall asleep which has been nice to be able to sit and hold my daughter in the evenings. It has already been life changing.”"
"Once a Chiro duo now a Chiro trio! Mom was adjusted all throughout her pregnancy to make sure the baby had a good home (well aligned pelvis and uterus) and to help labor go smoothly. Even with a 'smooth' labor the birth experience can still be a little rough for a baby. Any interference to his nervous system from the birthing process can negatively affect how he can adapt and thrive in his new environment, so mom wanted to get him checked at only 5 days old to make sure he could do both. Both mom and baby are doing amazing, and little man slept through his first adjustment! Congrats momma!" "Since being adjusted by Dr. Jake, I feel like I have ME back again. I’ve suffered from chronic sinus infections, low back pain, headaches, neck and shoulder pain, even numbness and tingling into my fingers. I have severe scoliosis and had a spinal fusion with hardware on my thoracic spine when I was 15. With my fusion, I wasn’t sure what my options were until we started taking my infant son to Dr. Jake for reflux. I had tried multiple physicians to figure out what was going on with me to no avail. Seven months later, I made an appointment with GHC. I used to have 3 headaches a week, now none. My nerve pain in my shoulder & hands has stopped. I feel like my mental processing has changed. My brain has slowed down, and I can process my thoughts more clearly and feel like I am living again, not surviving. I am so thankful for the staff at GHC for listening to me, taking a holistic approach to my care and taking the time to explain how my care would differ due to my orthopedic limitations." My Experience: 'As a mom this office has been a true blessing in our life.'" My Experience: 'I love the staff here. Everyone is great and I really love Dr. Jake for everything he has done.'"